There are some shows that I discover late, after there’s been much buzz around them, and there are others I discover right off the bat. Fresh Off the Boat is one such show. Before it’s 2015 debut previews would constantly air during my beloved (and much missed) The Middle and they were funny enough for me to give it a try. I was hooked from the get go and 5 seasons later I’m still enjoying the adventures of the Huang family. 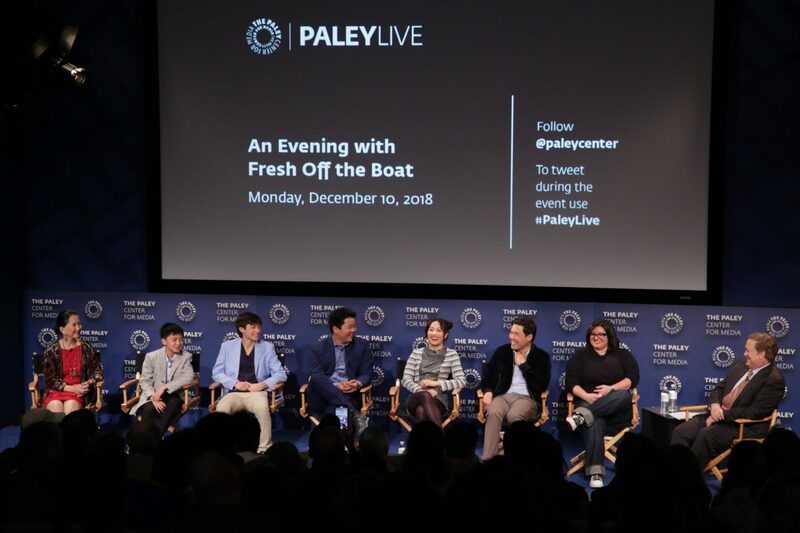 Recently, The Paley Center held An Evening with Fresh Off the Boat at their Beverly Hills location and I was lucky enough to be invited to attend. Held in the center’s John H. Mitchell Theater the event featured a preview of the upcoming holiday episode and a discussion with the cast and creator moderated by entertainment reporter, Sam Rubin. The holiday episode, “Cousin Eddie” airs December 14th at 8PM and is another Christmas classic. As fans know, Christmas is Jessica Huang’s favorite holiday and every year she handles it perfectly. Unfortunately, Eddie’s growing up and, this year, he doesn’t want to stick with her well established routine. Their equally stubborn personalities collide and no one is safe from the mayhem that ensues. The episode is laugh out loud funny yet delivers a good dose of heart which is just what I’ve come to expect when I watch Fresh Off the Boat. Nahnatchka Khan and cast members Constance Wu, Randall Park, Lucille Soong, Hudson Yang, Forrest Wheeler and Ian Chen. Over the next 30 minutes they discussed the success of the show and it’s impact on culture at large. When Fresh Off the Boat debuted in 2015 it was the first Asian American sitcom in 20 years and as it approaches its 100th episode it’s now the longest running. The cast is well aware of the significance of the show’s success and Randall Park admitted he never thought they would make it this far. But they have and while excited about what has been accomplished they know there are still many more Asian American stories that are waiting to be heard. As the show is a family sitcom much of the focus was on the three youth leads – Hudson Yang, Forrest Wheeler and Ian Chen – and all three are well spoken young men. This was the first major acting experience for all of them and they’ve learned much over the past 5 years especially about the cultural significance of their roles. Of course, there’s still time for fun and we heard tales of their favorite guest stars, their introduction to 1990’s technology (the show is a period piece and the boys often know nothing about items like pagers and Tamagotchi’s) and their off-screen camaraderie. In fact, the entire cast stressed how much they enjoy each others company and truly feel like family. I thoroughly enjoyed An Evening with Fresh Off the Boat. Not only did I get a sneak peak at an upcoming episode but I was able to gain insight into one of my favorite shows. Here’s hoping it will be on the air for many years to come. Sorry when did it debut? You said 2015 but then you said five years. I’m just trying to figure out how old the little boy was in S1 and how old he is now. They kept mentioning 5 years in the interview but I believe they meant 5 seasons. 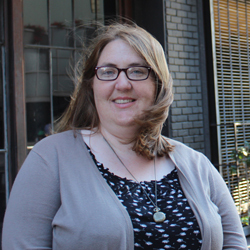 The first season debuted in the spring of 2015 while the second season debuted in the fall.